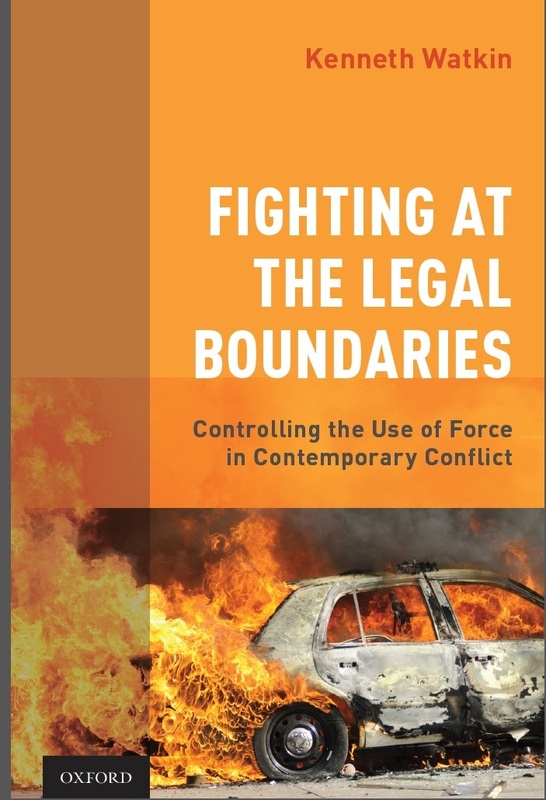 As was announced at the American Society of International Law Annual Meeting held in Washington D.C., 12-15 April, 11027 Brigadier-General (Ret’d) Ken Watkin’s book, “Fighting at the Legal Boundaries: Controlling the Use of Force in Contemporary Conflict”, https://global.oup.com/academic/product/fighting-at-the-legal-boundaries-9780190457976?cc=ca&lang=en& has been awarded the 2017 Francis Leiber Prize. The prize is awarded annually by the Lieber Society on the Law of Armed Conflict to the author of a book which the judges consider to be outstanding in the field of law and armed conflict. In an e-Veritas post earlier this year (http://everitas.rmcclub.ca/ex-cadets-in-the-news-166/) 6907 William Fenrick described the book as “quite possibly, the most important single-author International Humanitarian Law (IHL) monograph written in many years”, https://www.lawfareblog.com/law-and-conflict-contemporary-practitioner. Is this the first book that you have had published? This was my first book although I have published numerous articles during and after my 33 year military career on a variety of subjects such as human rights, military justice, internal security, humanitarian law and operational law. More recently I have been “posting” commentaries to national security and international law websites, as well as reviews of books concerning contemporary armed conflict. From start to finish – how long was the process for this book? I started the book when I moved back to Canada in July 2012 after my sojourn as the Charles H. Stockton Professor of International Law at the United States Naval War College. The manuscript was completed in December 2015, and the book was published in May of 2016. How does it feel to be the winner of the 2017 Francis Leiber Prize? The American Society of International Law is a world leading organization that fosters the study of international law, and promotes the establishment and maintenance of international relations on the basis of law and justice. It is a great honour to receive this recognition from peers who write and work extensively in the field of international law and armed conflict. It is particularly gratifying in that it shows military “practitioners” can successfully engage in the academic dialogue about how the law impacts their profession. Indeed, I would argue this is something serving officers, and those of us with a military background need to do to ensure all perspectives are considered when national and international security issues are dealt with. My interest in writing can be traced directly back to my time at RMC and the completion of my Honours History thesis. I am particularly indebted to Dr. Dreisziger who demonstrated considerable patience in imparting in me a love of research and writing. Throughout my career I tried to combine my academic interest with the practice of law. My Master of Laws thesis on the constitutionality of the summary trial system helped frame some of the post-Somalia changes to the military justice system. While serving in the human rights directorate I wrote an article on human rights for a Canadian constitutional law journal that was subsequently referred to by the Supreme Court of Canada. Because of my interest in international law I have found the potential for written work to have impact farther afield to be particularly appealing. For example, an article I completed as a Visiting Fellow at Harvard Law School about the role of human rights norms in controlling the use of force in contemporary armed conflict was published in the 2004 American Journal of International Law, and then subsequently was relied on by the Israeli Supreme Court in its 2006 “targeted killing” case. What motivated you to write this particular book? 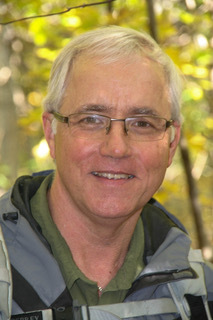 For a significant period following the 9/11 attacks until 2010, while serving first as the Deputy Judge Advocate General/Operations and then as the Judge Advocate General, I was responsible for the provision of operational law advice regarding Canada’s air, sea, land and Special Forces operations both overseas and in Canada. It quickly became evident to me that for the Canadian perspective to be properly represented on the international stage, and to ensure our military operations were not improperly constrained, it was crucial for the Office of the Judge Advocate General to engage in the strategic dialogue taking place regarding 21st Century conflict. In this endeavour I was assisted by a group of very talented military lawyers, including a number of military colleges’ graduates. For me this engagement included writing academic articles about operational law issues for publication in international law journals, and participation in working groups with other State legal advisors, human rights advocates and academics. I have had articles published on a variety of subjects such as targeted killing and proportionality, the interface between law enforcement and armed conflict, and the law applicable to terrorism and complex security threats. A critique I wrote on the International Committee of the Red Cross’s interpretation of “direct participation in hostilities” has been widely referred to in academic discussion. This latter concept establishes who qualifies as a lawful target during armed conflict, and identifies which persons qualify for the protection of civilian status. My book represents post retirement continuation of that effort. Tell our readers about your writing routine; what was a typical writing day for you? I am an early riser so I generally started writing by 0600 and continued until 1000. Then a couple hours for working out, errands and lunch. The afternoons were frequently spent doing research, or editing “drafts”. Now that you’re ‘retired’ – any plans for another book? I just completed four chapters for a humanitarian law text being written with two other authors, a law professor in the United States and someone who works for the International Committee of the Red Cross. The intended audience are Masters and Doctoral students who want an overview of the law governing armed conflict. With that done I now intend to take a “strategic pause” and concentrate for a while on enjoying being a first-time grandparent, as well as completing a woodworking project I started in January. I continue to attend national and international conferences, which often sparks writing interests so who knows what the future will bring. Do you have any advice for the yet-to-be-published writers reading this? Committing to writing a book is such a significant undertaking that it will be different for each author. It is time consuming. That should not dissuade anyone from embarking on the task. The best advice I can give is to enjoy taking the time to delve in depth into issues that cannot be fully covered in a law review article, or journal piece. It is a fascinating journey, and do not be bothered by the fact that interesting “bits” will inevitably be left out after editing. Congratulations and best wishes in your future endeavours.